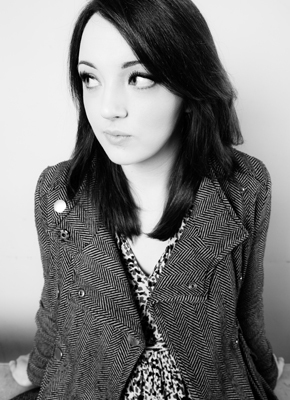 Having appeared on 8 out of 10 Cats and The Alternative Comedy Experience, and getting to the final of So You Think You’re Funny in 2011, Fern Brady has proven herself to be not only an able performer, but an exciting and versatile one too. Her material is homely, honest and personal, with occasional distasteful elements that delight the devil in all of us, and she will be bringing her latest stand up show People Are Idiots to the Edinburgh festival in August. 1) What is the oldest trick in the book? Telling guys “Of course I’ve had a recent AIDS test!” then looking indignant and adding quietly “Besides… it’s not like I normally do this.” Works every time. Did you mean a comedy trick? 2) Are you particularly interested in politics? I thought I was really into it but my boyfriend works in politics and listening to him read out all the different electoral seats in Scotland last night in a robotic monotone made me realise we all have different interpretations of the phrase ‘interested in politics’. 3) What quality do you most look for in others? In friends: to have none of my unappealing traits. In lovers: openness to new experiences (e.g. threeways). In audiences: servile devotion. 4) Is there a noticeable difference between gigging in Scotland and England? Nope, except when I die at gigs in England I try to persuade myself it’s cause they’re having trouble understanding my accent, which is a pretty big lie to sell given the hundreds of gigs I’ve done all over England where everyone totally knew what I was saying. I’d say the biggest difference is gigs in the north and south of England, I find I end up doing different types of material depending on where I am. 5) Are you good at maths? Not at all, I got kicked out of Standard Grade maths at school a lot, I was really wilfully bad at it cause I remember being in the top class then getting booted into the General level one, then eventually Foundation maths with the proper plebs. None of the maths teachers at my school were a great advert for maths though, they were all semi-literate nerds from Coatbridge and I gave up on them completely when they spelled my punishment exercises wrong. I smugly told the head of maths I’d never need maths but at the time I think I thought I’d be a famous novelist and not the undignified clown I ended up being. 6) What is your favourite television comedy of 2015 so far? Hmm. Well. There are so many great comedy shows but I’d have to say the thing that stands out is my BBC Comedy Feed Radges, which is about when I was in a pupil referral unit for mental teens. That hasn’t been released yet but PLEASE WATCH IT SO I CONTINUE TO GET WORK. I generally prefer stuff on Netflix and Amazon Prime so my favourite recent shows are Transparent, Orange is the New Black and Unbreakable Kimmy Schmidt. I know the first two aren’t sitcoms but I find comedy drama way funnier than a lot of sitcoms. 7) What is your proudest achievement? Getting off with two women from the audience of one of my gigs. I’m basically the Hugh Hefner of the UK comedy circuit. What do you know that I don’t? I think you can only tell in hindsight, really! I’ve girded my loins in the usual fashion: Berocca and an optimistic gym membership. It’s satire for people without a team. I don’t have a team and I don’t think I want one. Well, if you don’t have a team and you don’t try to appeal to a particular team, you will be designing a show that deliberately does not please some people, which is hard to parse as an entertainer. Probably a third-culture kid who has watched too much Netflix. Ed Night, Fern Brady, Glenn Moore, Sarah Keyworth, Garrett Millerick,, Catherine Bohart. The architecture for sure – plus how it feels like a big city but retains an intimacy to it as well. No humour for one month – just living like a robot. Twayna Mayne is a stand up comedian hailed for being highly original with her downbeat comic delivery and honest, anecdotal material. This year Twayna will be performing her debut Edinburgh show, Black Girl, at the Pleasance Courtyard throughout August. It’s the best place in the world to see lots of new theatre and comedy. I don’t get to see much, especially comedy, at any other time and so this is my chance to binge watch stuff. It’s the best place to see acts that you might not normally see on circuit. My debut hour ‘Black Girl’ is about me, it’s about growing up in south east London, holidaying in Devon and being adopted. I talk about identity, make references to popular culture and how black women are portrayed in popular culture. Not that I know of but if you like your comedy delivered in a pretty deadpan way with bit of absurdity thrown in, then I could be the comedian for you. I’ve been pretty lucky with accommodation every time I’ve been but saying that last year we lived above the Mosque Kitchen (curry house) in the centre of town. It was very close to the Pleasance Courtyard but every morning you were woken up to the smell of frying onions and spices. We were on the third floor and by the middle of the afternoon the flat had a general smell of spicy food about it. In 2014 Time Out named me as one of their ‘Ones to Watch’, it was around the same time I’d been in a few new act finals too. I appeared in the magazine and gave my mum a copy as late Mother’s Day present. I haven’t had a chance to go through the Festival brochure yet but this lot are on my list: Sophie Willan ‘Branded’, Joe Sutherland ‘Model/Actress’, Alasdair Beckett-King ‘The Alasdair Beckett-King Mysteries’ and Fern Brady ‘Suffer, Fools’. I’d like to come away with my mental health intact, a sell out run and some nice reviews. A mysterious and generous benefactor wouldn’t go amiss either. I don’t have another idea for my next show, yet, so this could be my first and last show. I like the idea of being a very successful comedy one hit wonder. A whole new batch of Comedy Feeds have recently been released on BBC iPlayer with an abundance of bright new comedy talent being given the chance to create short comedy pilots for the television and online. And with an elite list of writers including the likes of Dane Baptiste, Greg James and Fern Brady, this series was set to be as strong as previous years from the get go. Every new series of Comedy Feeds proves itself to be accessible to plenty, with actors and comedy stars from every corner of the industry. There’s a recognisable face in every episode, whether that be Michael Smiley popping up as Uncle Les in Fishbowl or Jarred Christmas in Dead Air playing the role of an irritating radio DJ from New Zealand (or was it Australia?). Radges is a particularly strong episode; written by Fern Brady and starring an array of young and talented actresses who may not be familiar to most, including Lauren Lyle, Lois Chimimba and Samantha Foley. Set in a teenage referral unit, the premise is reasonably dark, perhaps, but the atmosphere is not a downbeat one. This is a direct result of Brady’s sharp writing, which deserves commending here as she successfully avoids dragging out narrative or relying on clichés for laughs, which is a hard feat for sitcom writers these days as the tropes of comedy plots often seem to lead in the same direction, reaching the same destination. There are brilliant character dynamics crafted, expertly cemented by the addition of the group’s session leader, Miranda‘s Sarah Hadland, who gets some of the best lines. Another entertaining comedy short is Fishbowl, written by Boy Meets Girl co-writer Andrew Mettam and starring Katherine Rose Morely, Mark Benton and Sally Lindsay. This episode again borders on the sinister, with nineteen-year-old Hattie being brought back home by her suffocating parents after just two months at university, and there is certainly potential for this to develop into something brilliant if given the chance. It is fantastic for television platforms to be able to give so many creative individuals a chance to experiment with their comedy pilots because the results are not only as unique as they are impressive, but they also have so much time and enthusiasm invested into making them forthcoming pieces of excellent comedy.